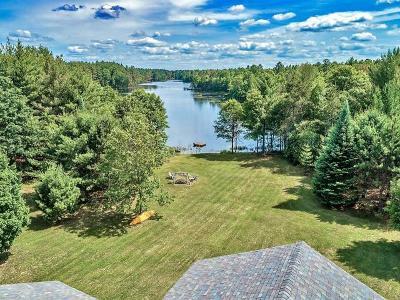 Imagine owning this exquisite luxurious retreat, decorated with 40 acres worth of panoramic picturesque views and charmed by the tranquil waters of Silverbass Lake. 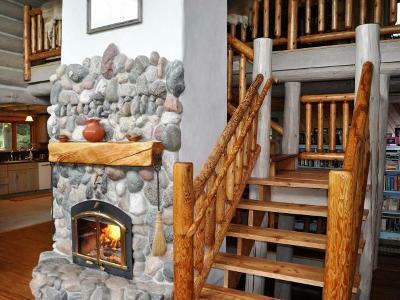 This magical paradise brings harmony to the outdoor enthusiast and nature. 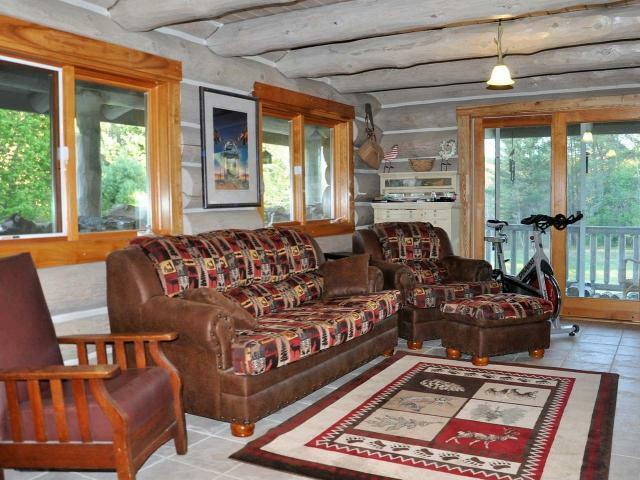 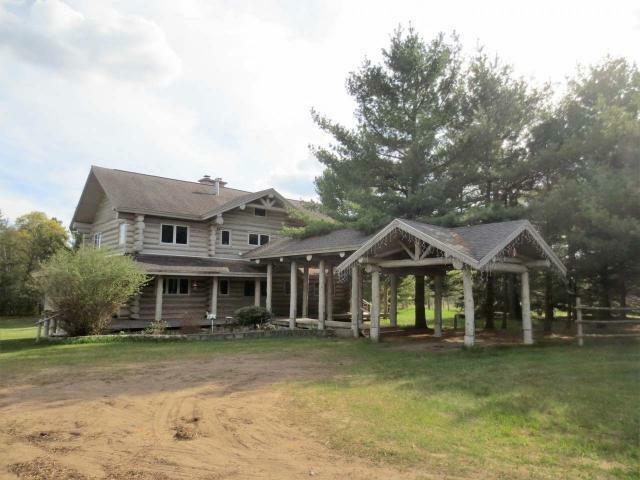 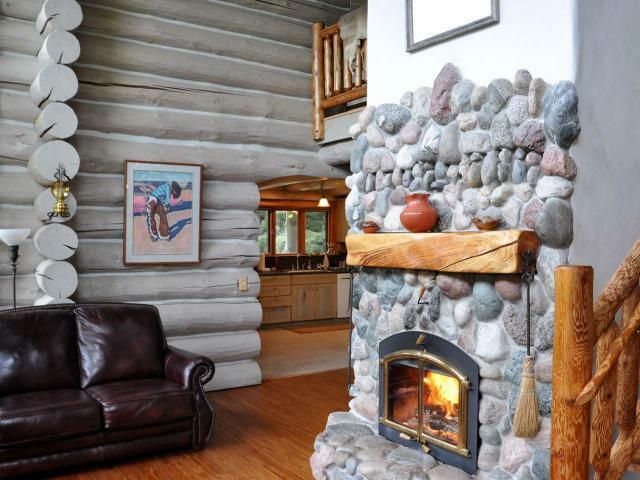 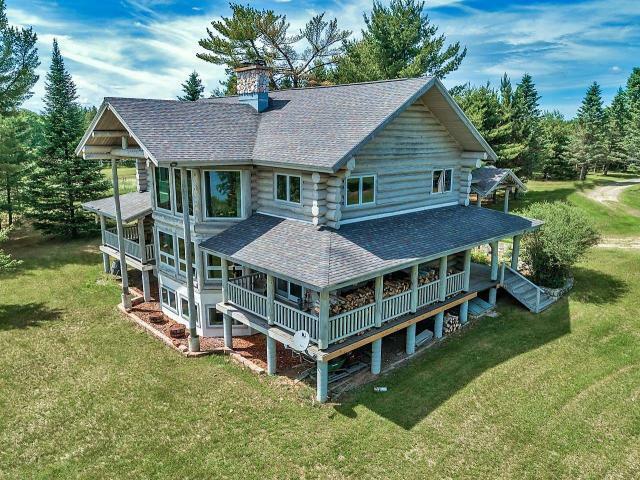 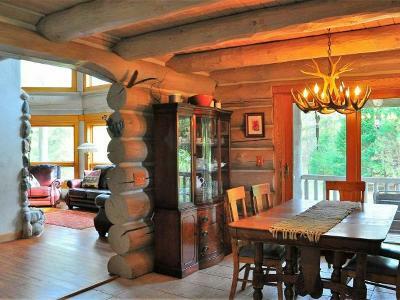 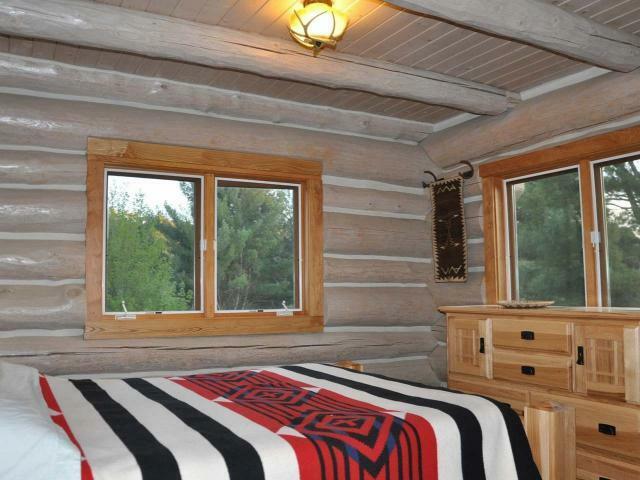 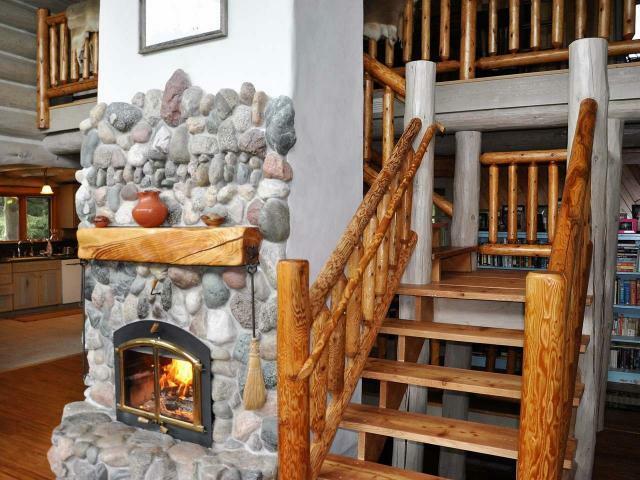 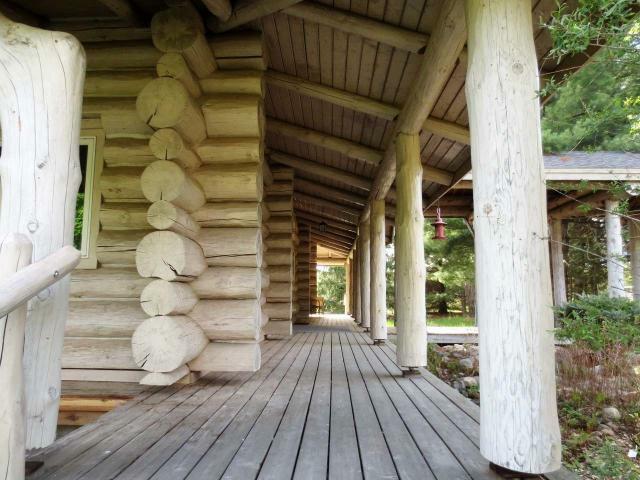 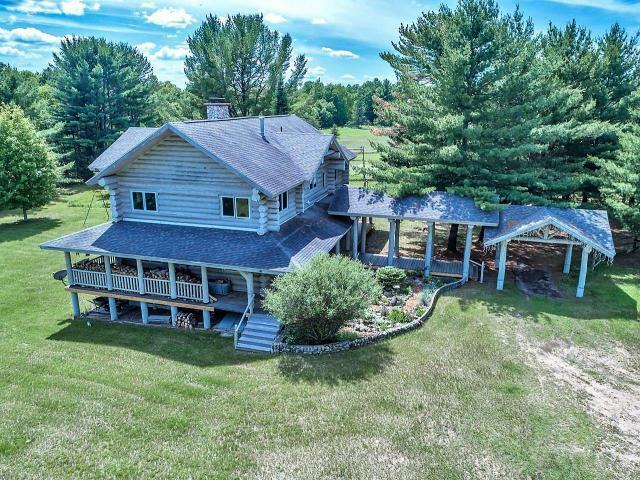 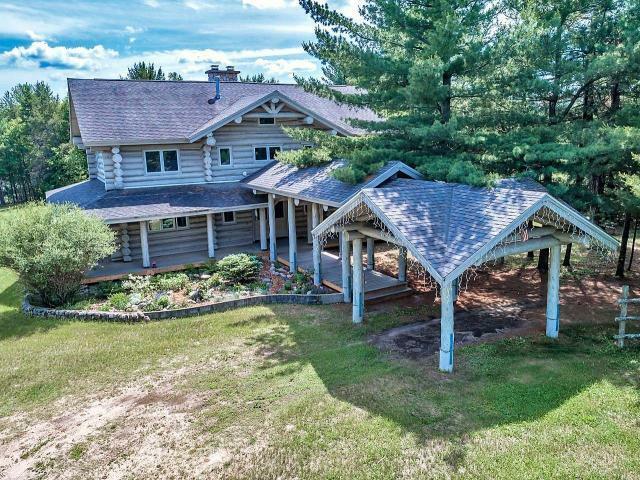 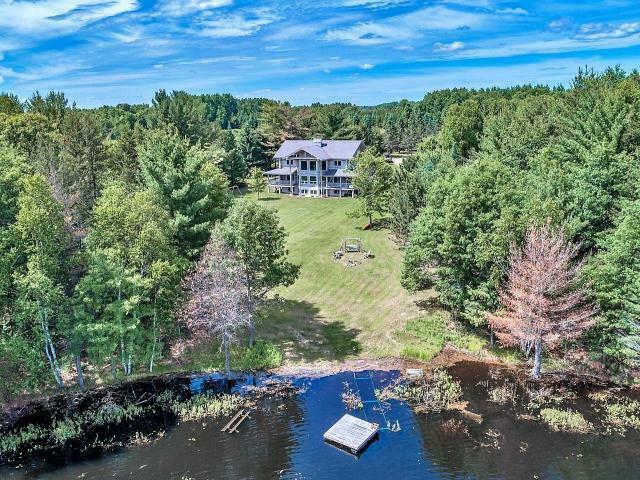 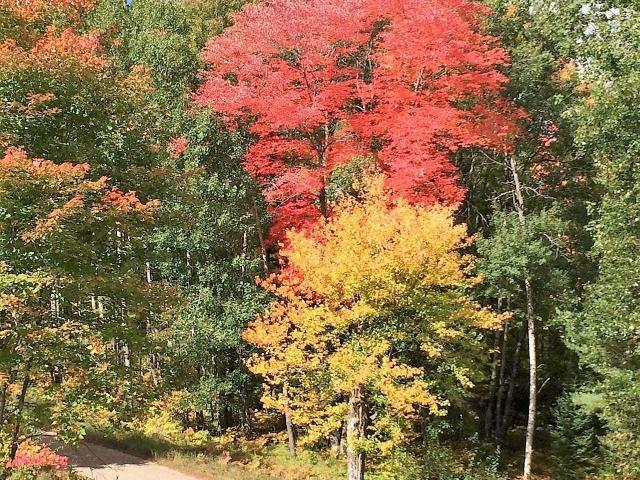 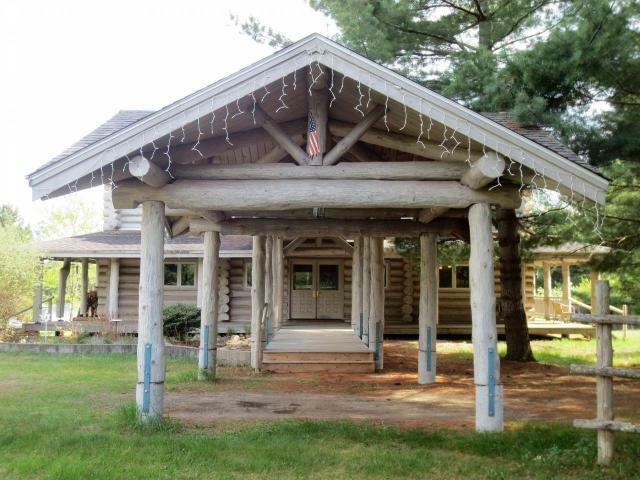 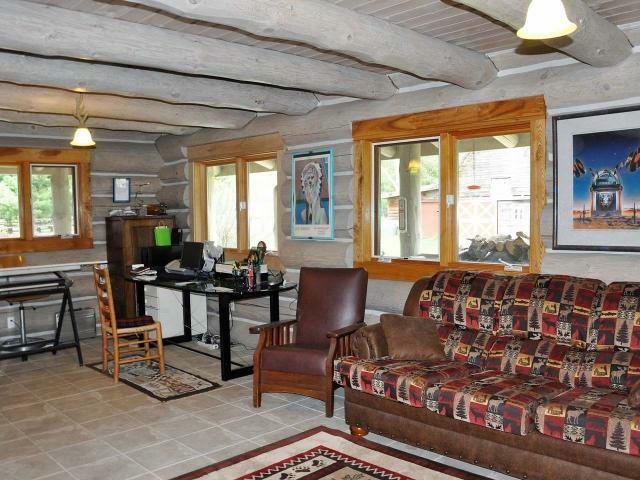 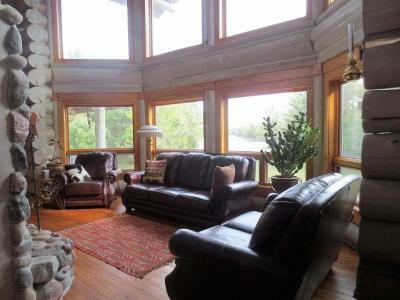 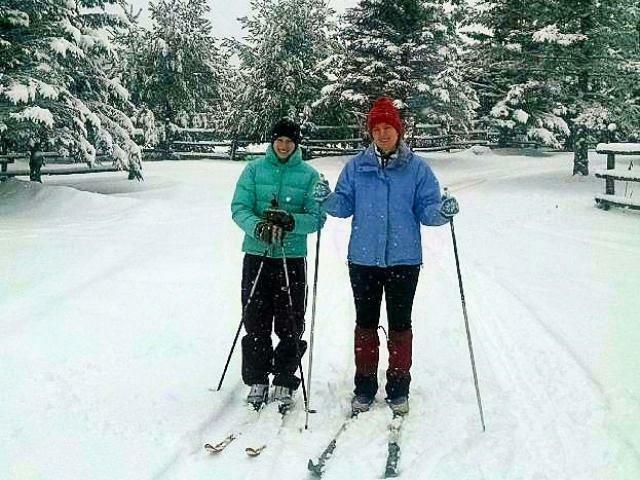 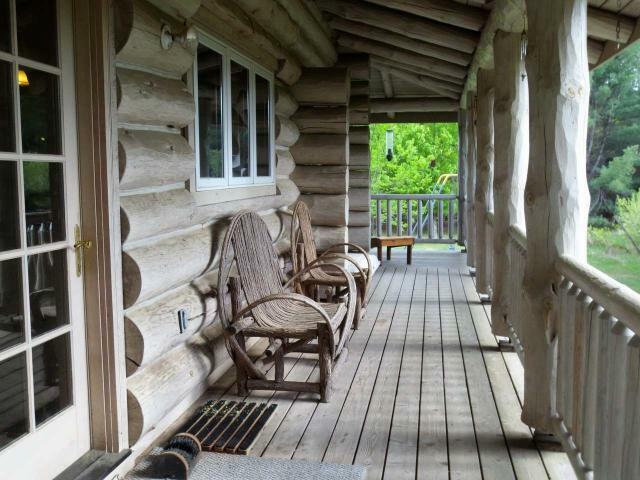 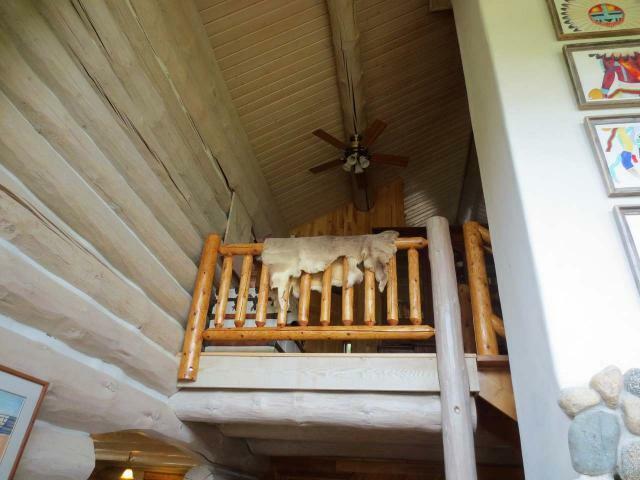 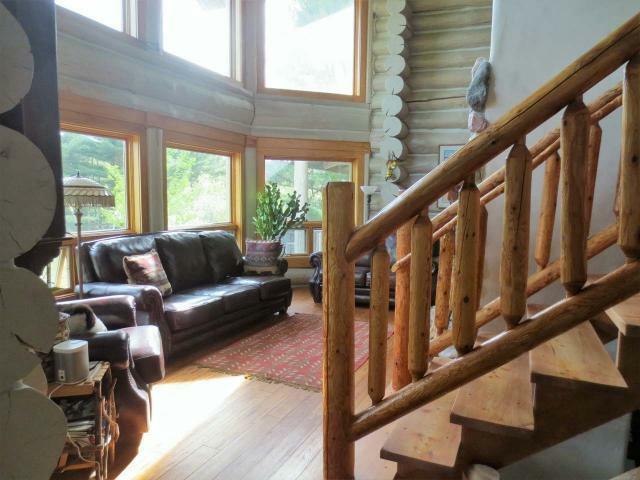 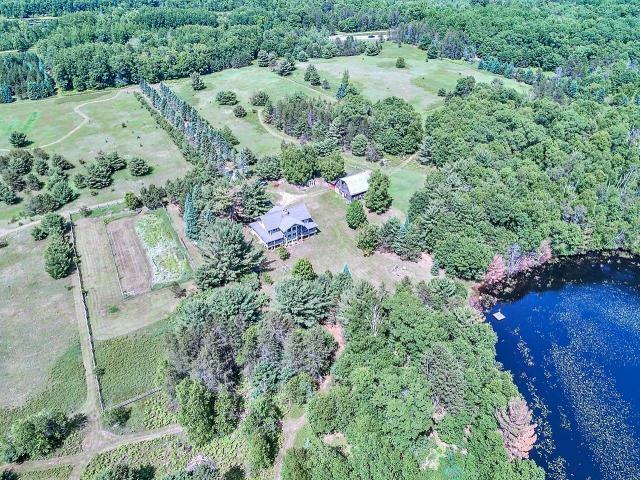 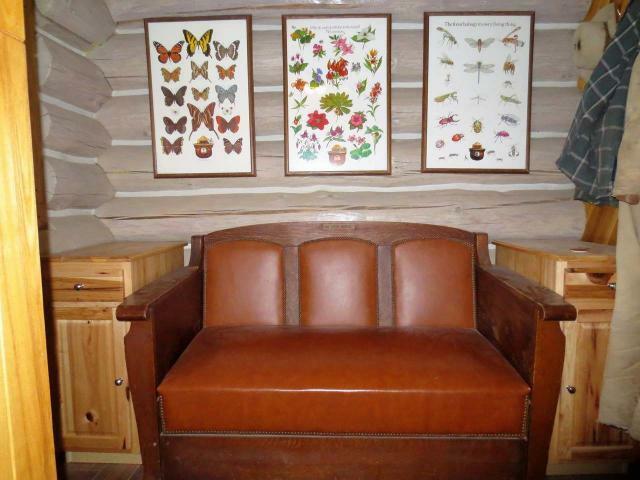 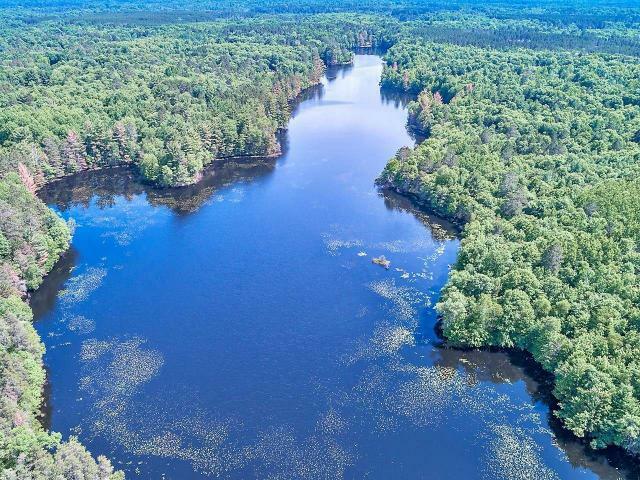 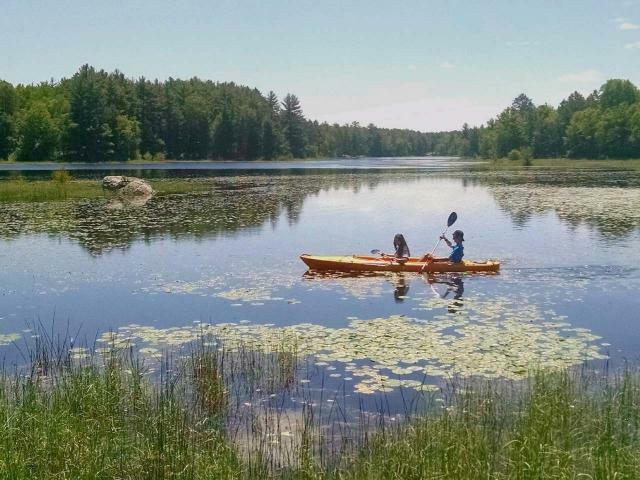 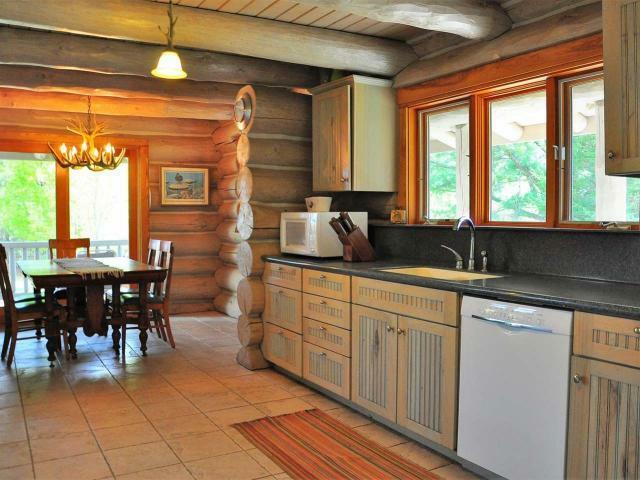 Enjoy relaxing on the covered porch, glide your kayak across the water or hike/snowshoe down the paths that wind throughout the forest of this Northwoods Kingdom. 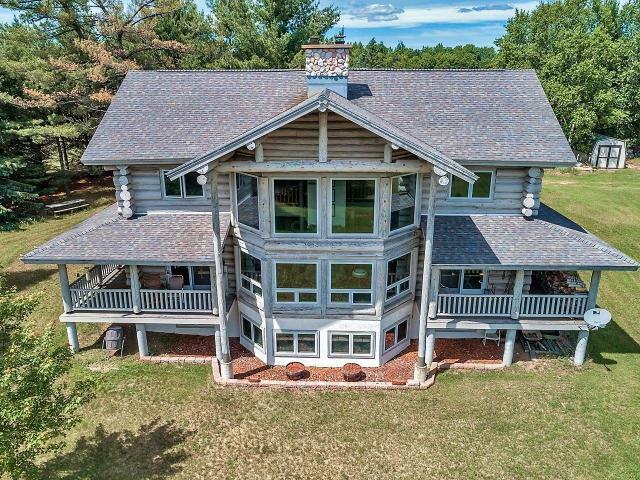 The home has elegant accents of custom craftsmanship, oak wood floors, 4 zone heating, field stone fireplace, handmade log stairway and walls of windows that are the frame to Mother Nature&apos;s masterpiece. 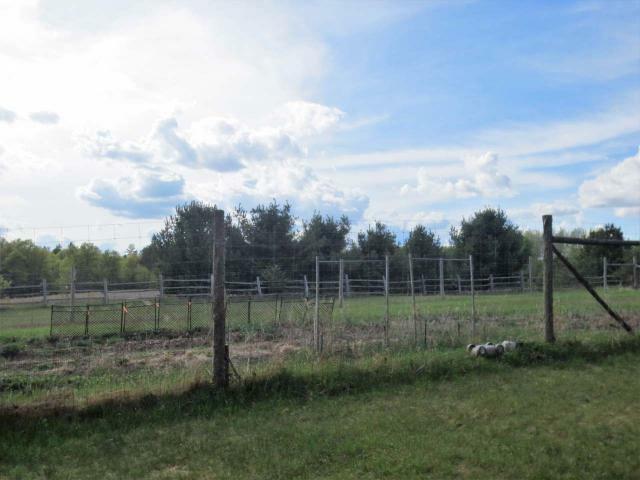 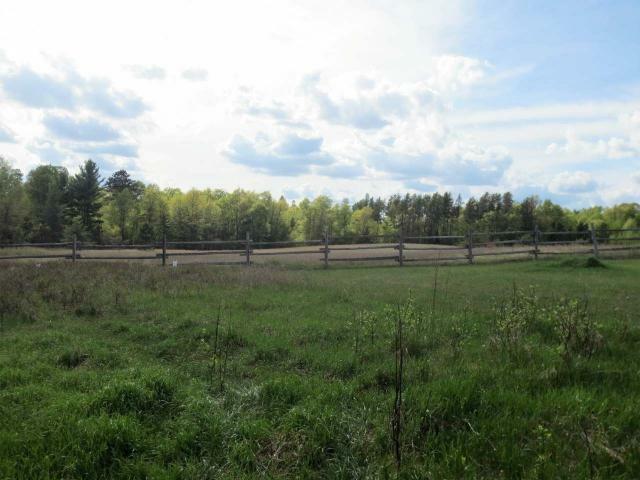 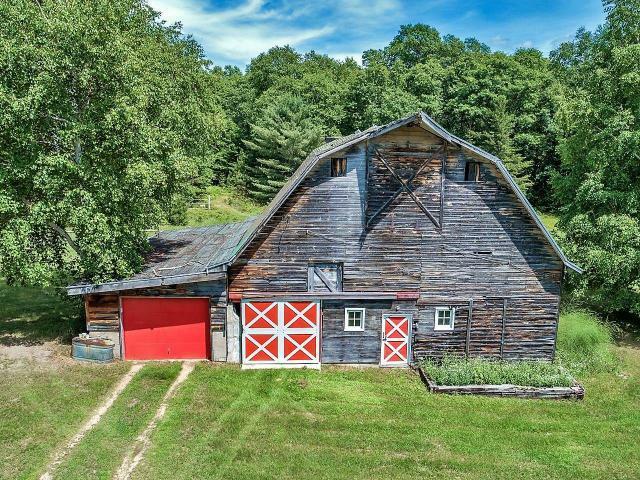 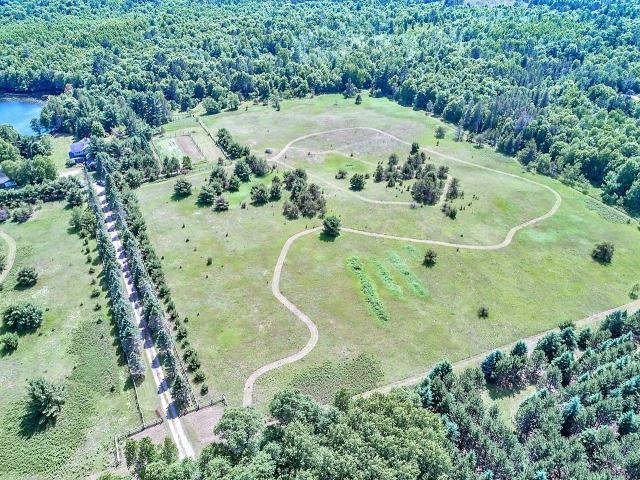 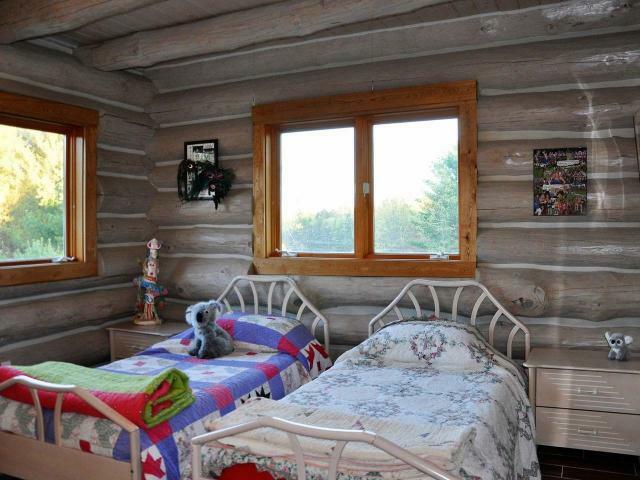 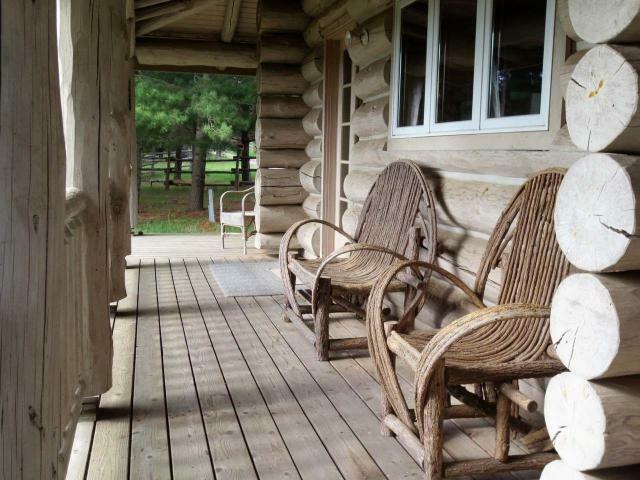 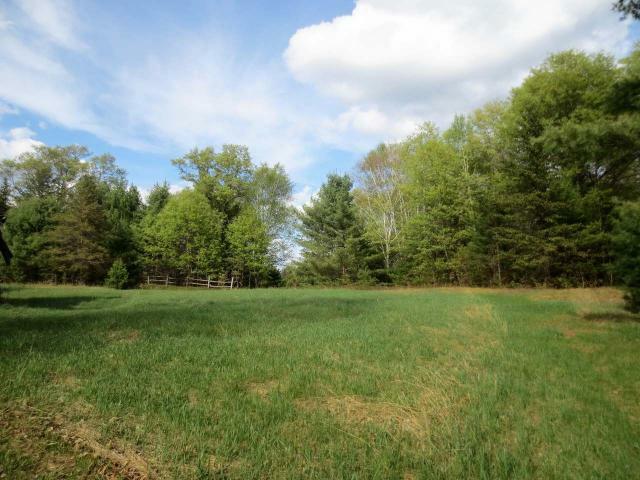 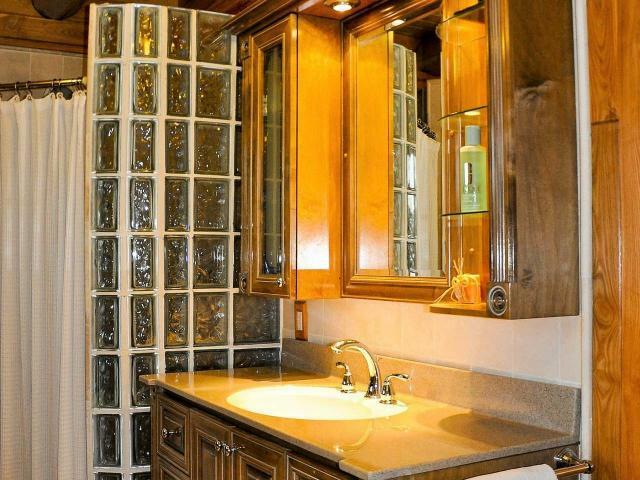 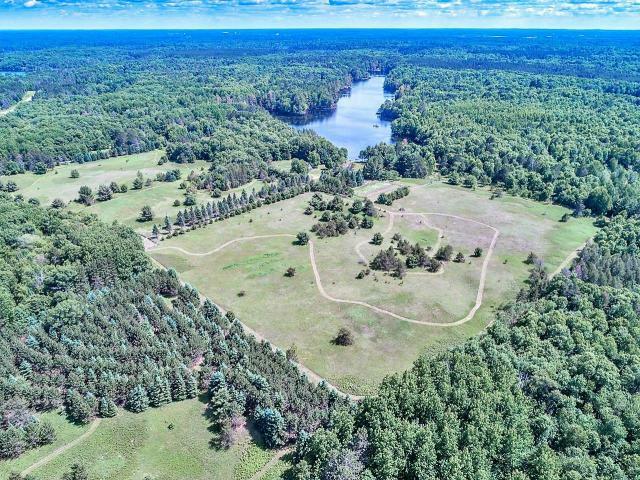 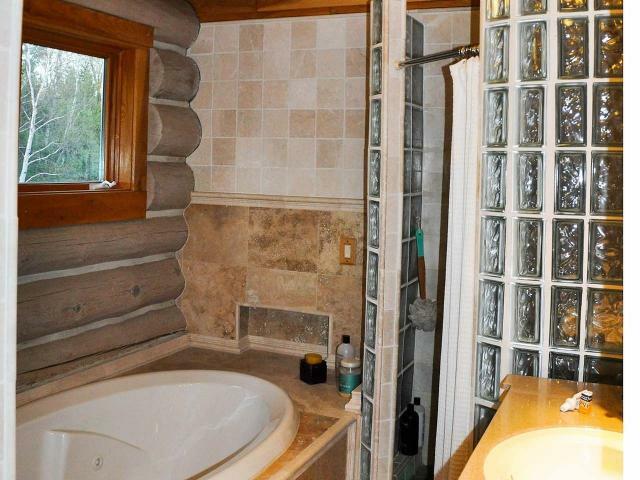 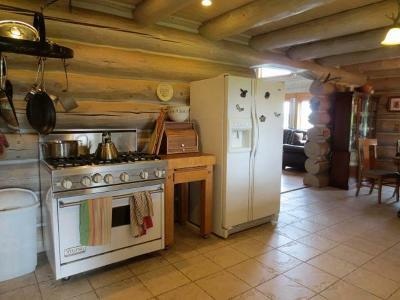 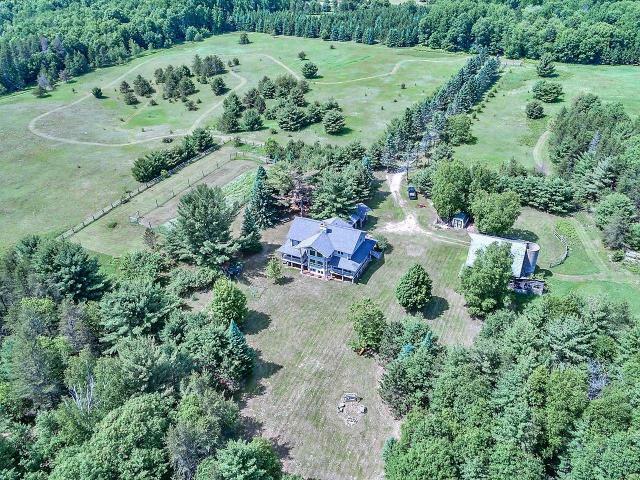 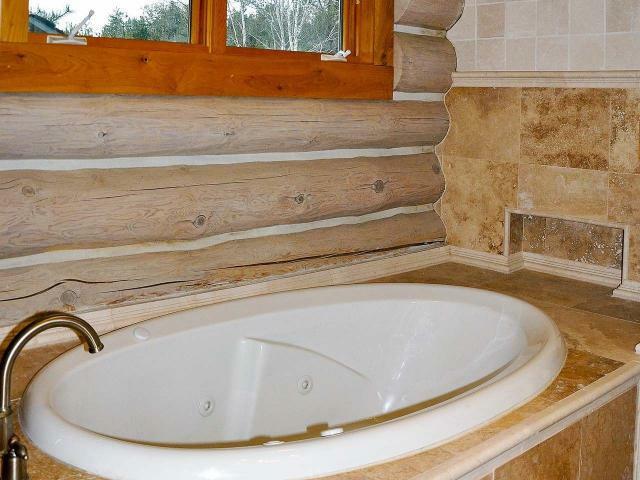 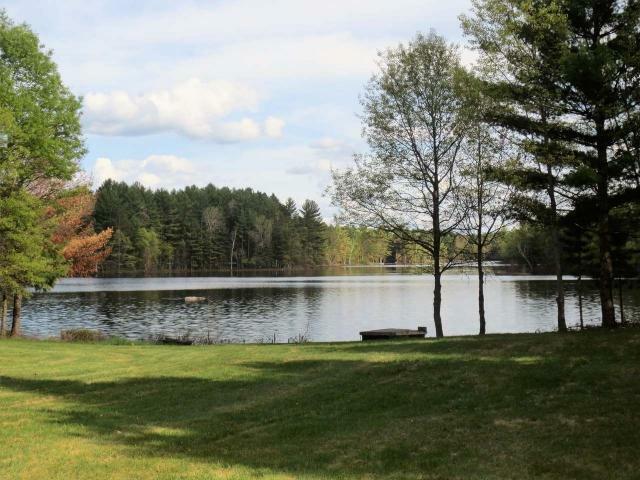 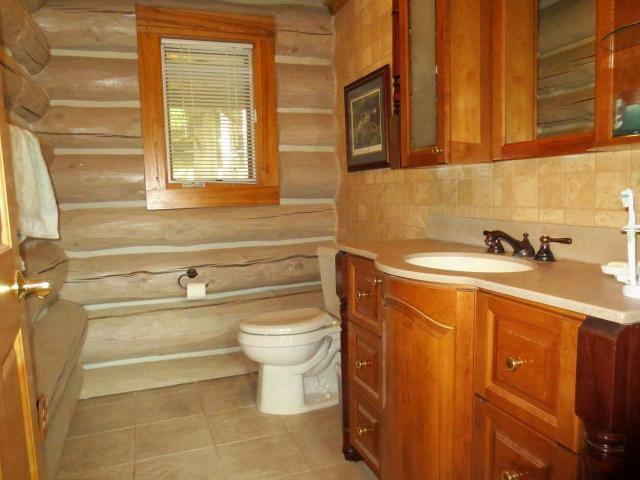 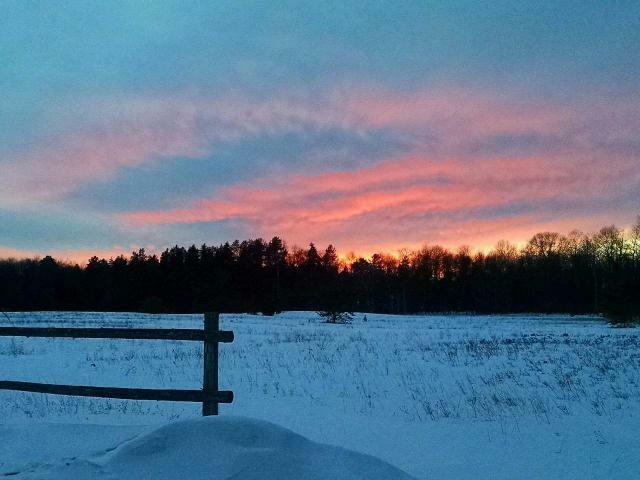 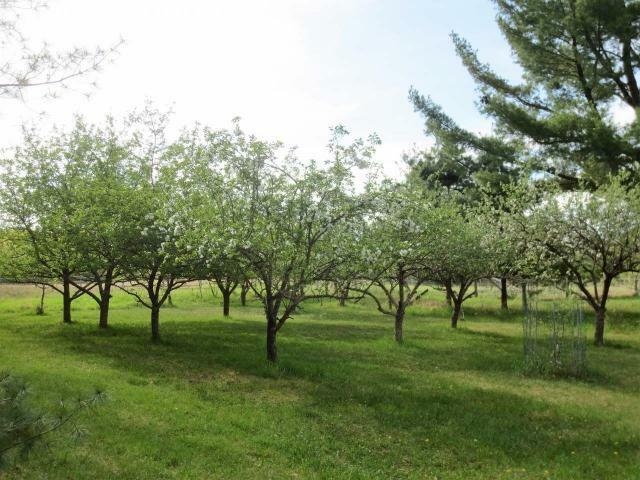 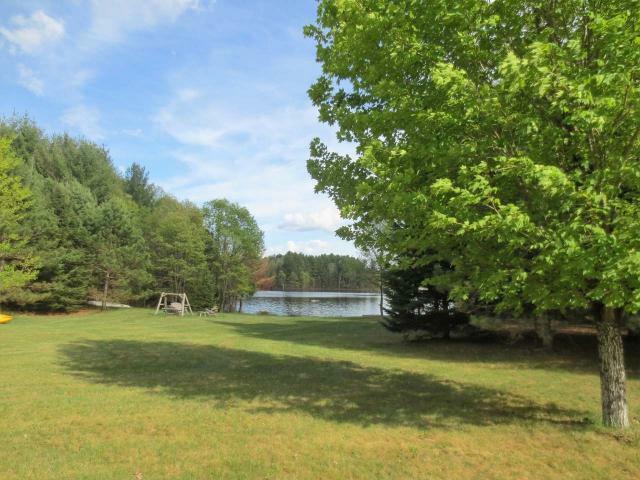 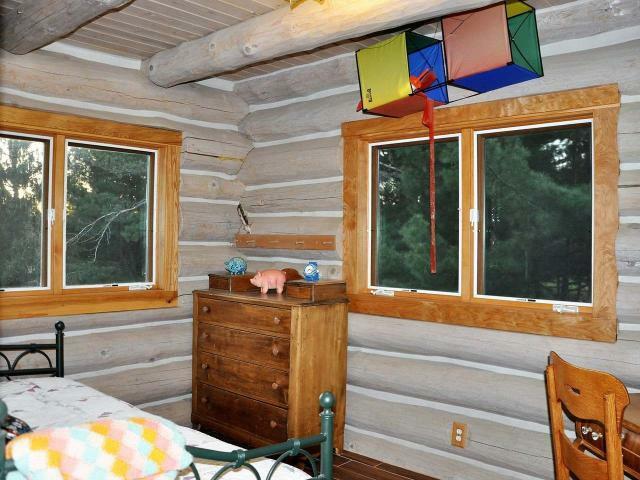 This secluded treasure is surrounded by woods, water, apple orchard and pasture. Call for your private showing of this Fantasy Estate and see for yourself this extraordinary property.